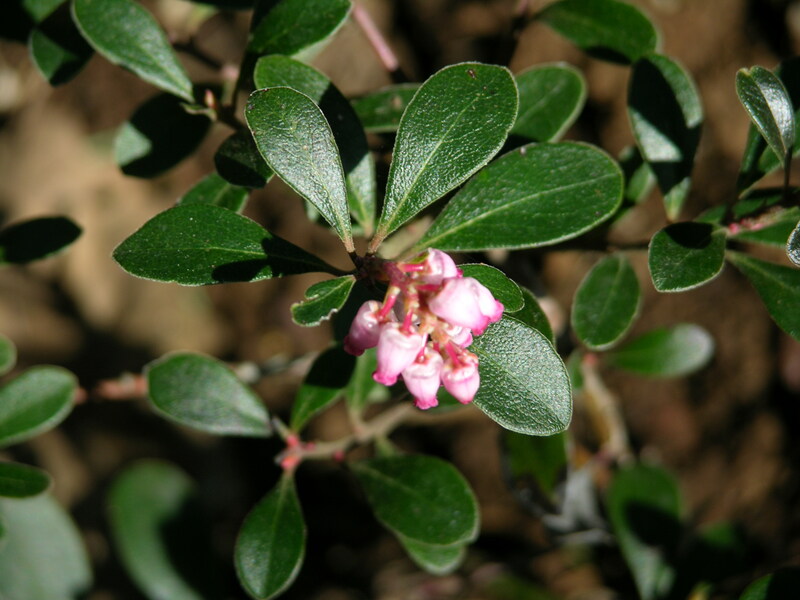 Kinnikinnik, also known as Bearberry (Arctostaphylos uva-ursi) is a favorite among all the northwest native plants for groundcover. 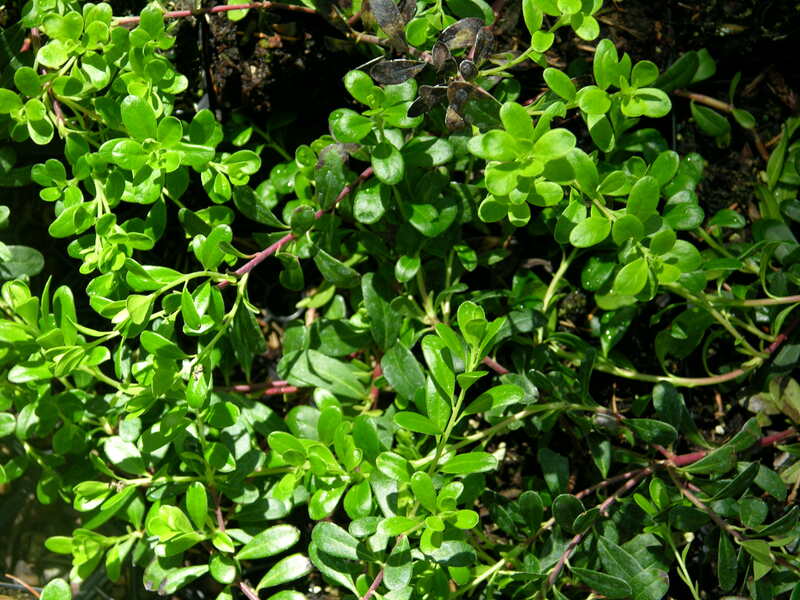 Its evergreen, leathery leaves cover the trailing branches. Often in winter the leaves become a regal burgundy color. The white to pink, urn-shaped flowers are followed by vibrant red berries which birds love. It grows quickly and is found in USDA zones 5-10, from Alaska to New Mexico and east to Virginia. "No. 33 An evergreen plant which grows in the open plains usually. the natives smoke it's leaves, mixed with tobacco Called by the French Engages Sacacommis.-[specimen] obtained at Fort Mandan". 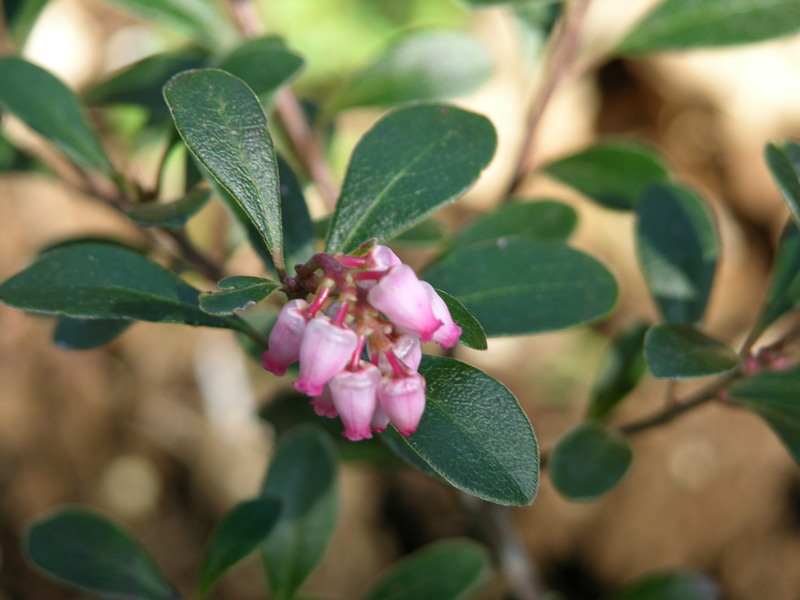 Truly, the leaves of Bearberry plant still fill many a pipe today and the berries are still used to treat bladder and kidney disorders. 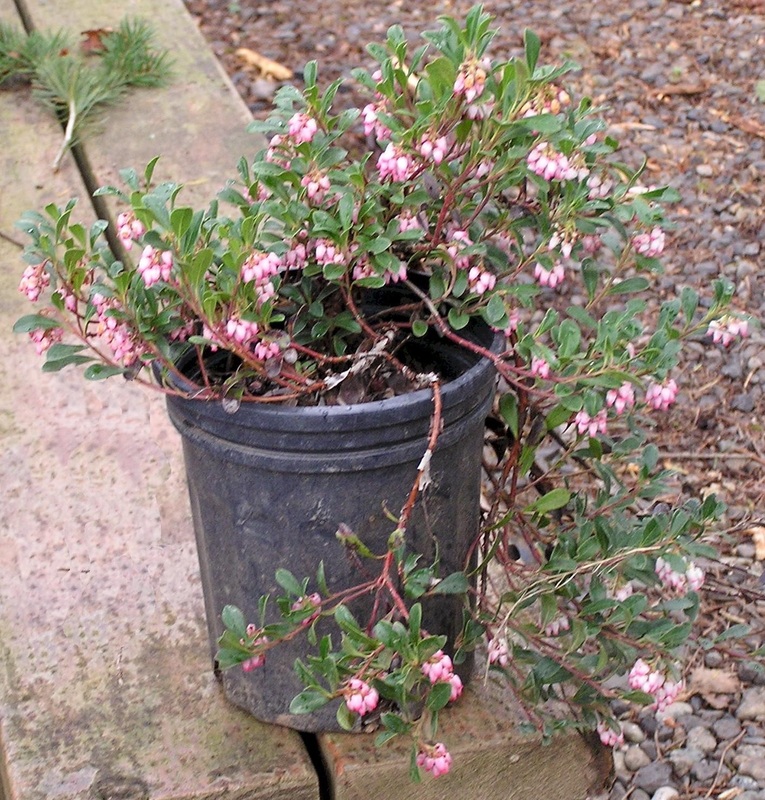 A gardener's delight, Kinnikinnik especially shines in dry, sunny locations. 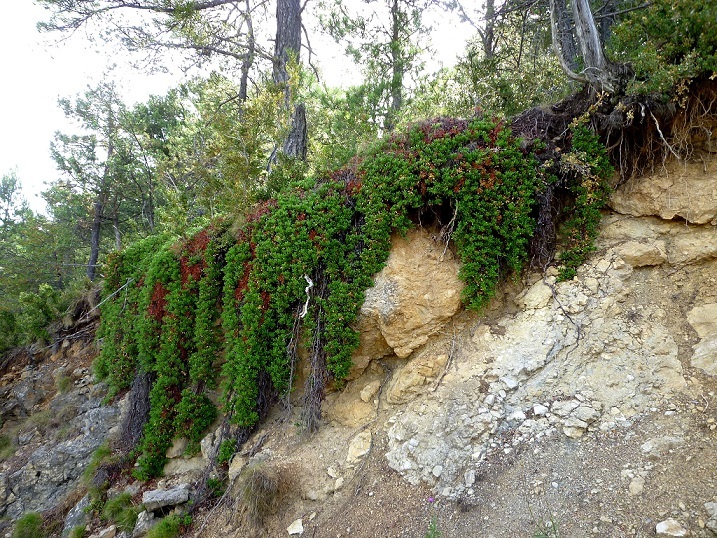 Excellent for hard to grow areas such as steep banks where its branches root readily wherever they rest. 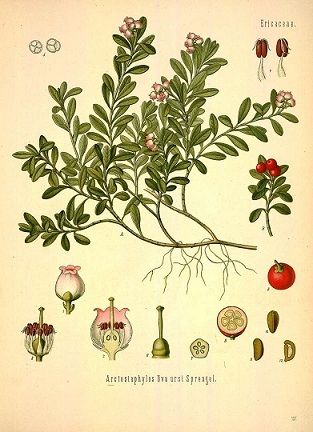 It is evergreen, it is completely well-behaved--never invades other plants' territory, never needs pruning, never sheds leaves or bark or anything else. It is drought resistant once established. It reproduces itself by rooting at intervals wherever it touches the ground. It is so adaptable it grows heartily from Alaska to New Mexico and east to Virginia in dry, sunny and often sterile grounds. It is economical! Once established, it grows quickly and reliably. And it blooms! 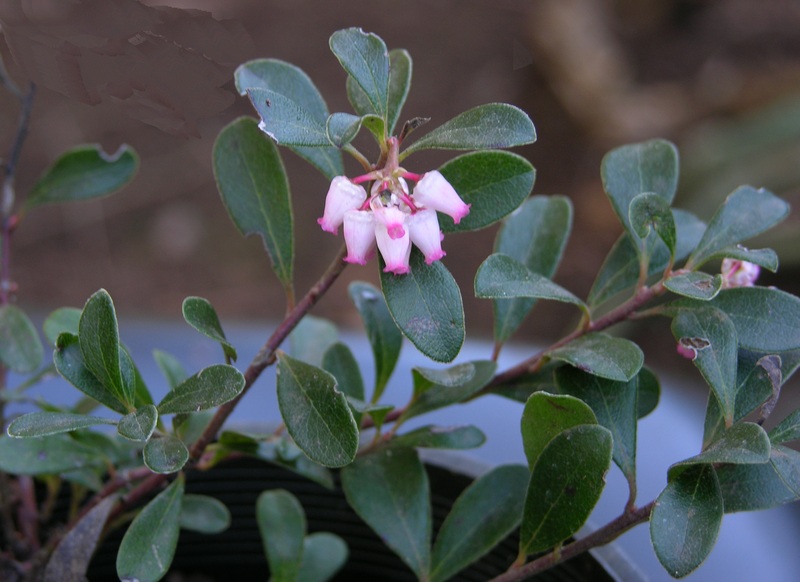 Little bells of white or pink flowers cover the plant adding a delightful tender look to embellish the small evergreen leaves. And it fruits! 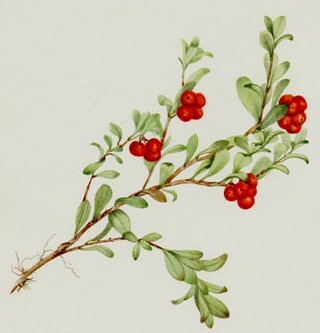 The bright red berries are edible for humans and the young leaves are good for tea but most enthusiastic admirers (and partakers) of the fruit are birds and other wildlife. And very often the leaves will turn a lovely wine color in fall, giving a beautiful and rich contrast to the bright red berries. It is even recognized by the National Society of the Daughters of the American Revolution--there is a chapter named for this outstanding plant, organized in 1914. Kinnkinnik does require good drainage. It will flourish without watering but if it is required to live in compacted, heavy soils it will languish. 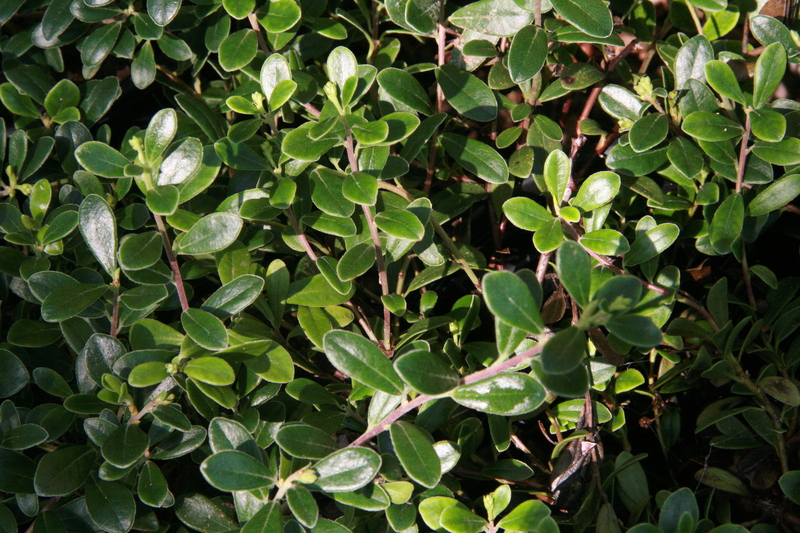 One of the finest evergreen ground covers, Kinnikinnick has long, trailing branches, thickly clothed with dark green, leathery leaves. In winter the leaves often become a regal burgundy color. 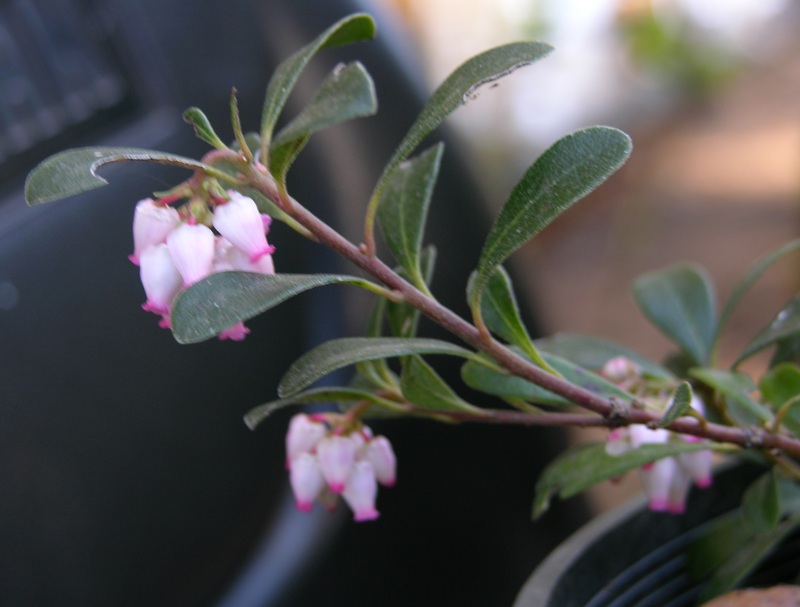 The white – pink, urn-shaped flowers are followed by vibrant red berries which birds love. This fast-growing plant is found in USDA zones 5-10, from Alaska to New Mexico and east to Virginia in dry, sunny and often sterile locations. 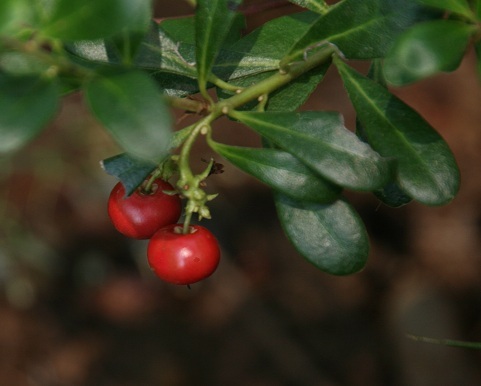 Native groups smoked Kinnikinnick and the berries are still used medicinally to treat bladder and kidney disorders. 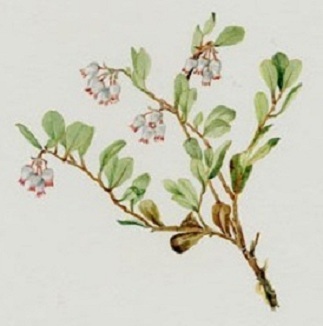 Truly, the leaves of Bearberry plant still fill many a pipe today. 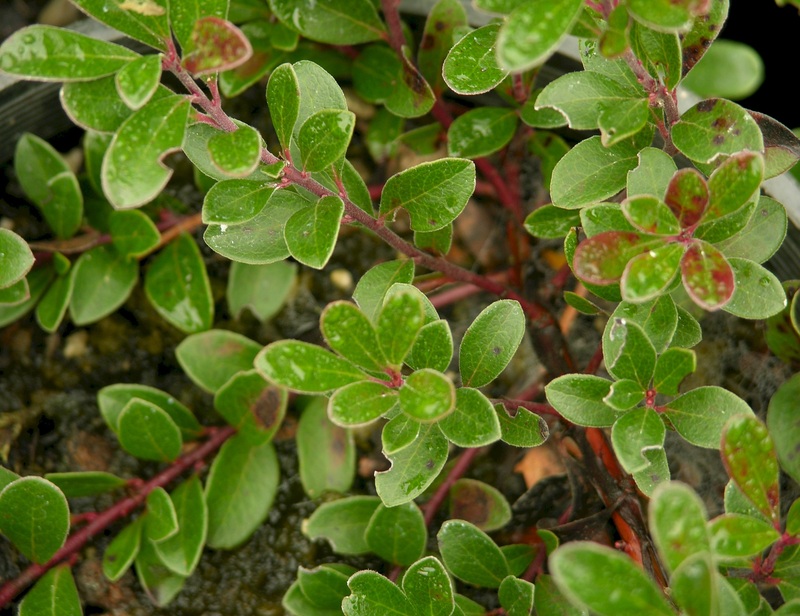 Gardeners love Kinnikinnick for landscaping steep banks, rockeries and open spaces in urban settings where it anchors the soil by rooting at intervals along the prostrate stems. 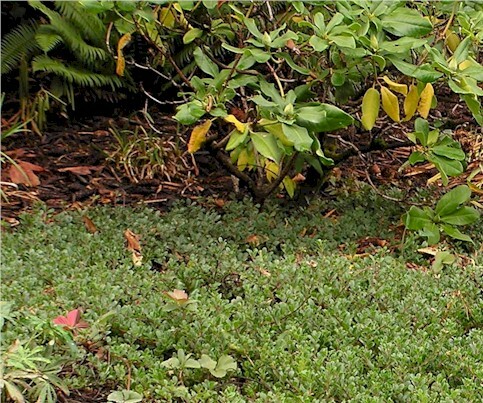 The photo above, left, shows this hardy native used as a groundcover beneath a rhododendron. Note the few wild strawberry plants sharing this space with the Bearberry.